I wrote recently about giving Lydia egg and soldiers for the first time (see "Egg & Soliders", as part of my mission to replicate some of the fond memories I have from growing up in England, as I felt getting her involved in British things would help her appreciate her Anglo origins. Well, she also stays in touch with her Swiss side as well. 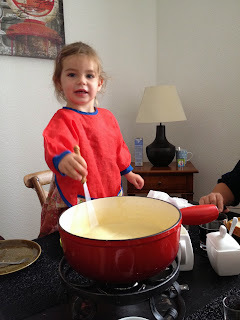 We recently had a fondue meal with Chris' parents, and Lydia loved it. She particularly enjoyed dipping the bread in the cheese and giving the pot a good stir! 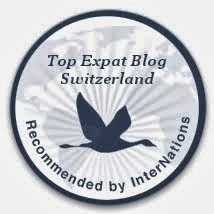 Living in Switzerland she is bound to pick up the local habits, and appreciating cheese-based meals (fondue, raclette, etc.) must be built into her genes. Hello, there! Your kid seems so cute :). 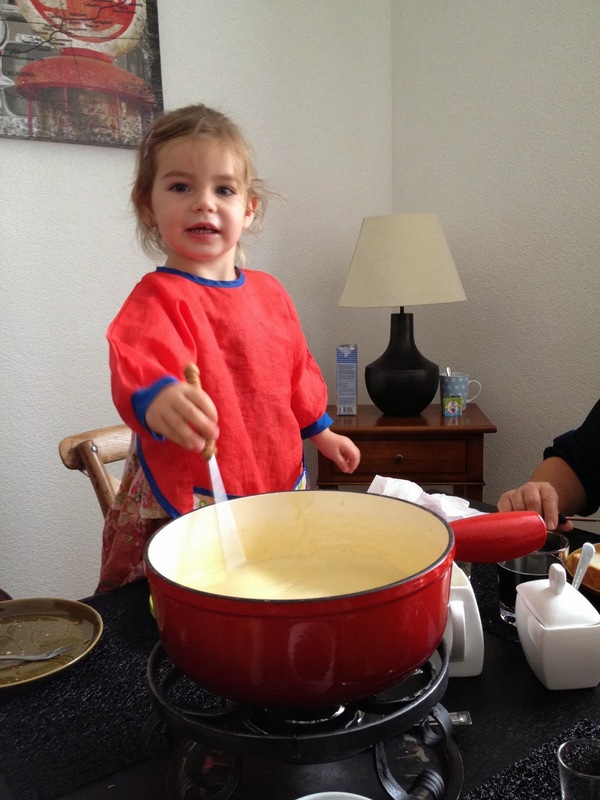 I'm glad she enjoyed cheese fondue - it's my favorite Swiss meal so far! Nice to meet you and I'll follow your blog!